Input: DC 12V / 24V. Indicator: Blue LED. 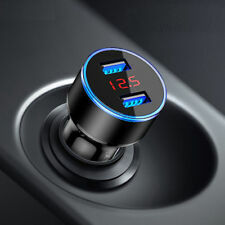 1 x Dual USB charging Port. Colour: Black. Can be installed vertically, horizontally or underneath the dash, or any flat surface. Material: ABS. A waterproof dustproof material can be used for the interior and exterior application. Easy to use. Compatible for ALL iPhone(3GS/4/4S/5). Compatible for ALL iPad(1st/2nd/3rd/4th/mini). Compatible for ALL iPods. Compatible for Galaxy s2 s3 s4. Wireless Charging StandardQi. Color: White. Easy to use. Hope to have more chances to serve you! Best Regards! All HTC phones & All USB Supported. Plug type:UK. All Apple iPhone's, iPod's. All Samsung Phones,Tabs. Casing color: white. Compatible with. Fit for Toyota. USB output：1.2A/2.1A. 8:Cable length: 51cm. Special charging technology can maintain life of your devices’ battery. Simple to install. Color: Black. Portugal, Spain, Italy. Plug and Play Item. Colour : Black. Two USB Ports. Google Nexus 6, Pixel,Pixel XL, Motorola Droid Turbo, Moto X 2014 -Sony Xperia Z4, Z4 Tablet, Z3, Z3 Compact, Z3 Tablet Compact, LG G5, G4, LG G Flex2, LG V10, LG G Tablet 6. We can send random colour unless requested for particular colour. Patent circuit board to protect your expensive phones. Easy to use. Colour: White. Plug type:UK. All HTC phones & All USB Supported. Note:Data Cable is not included. All Samsung Phones,Tabs. All Apple iPhone's, iPod's. Compatible with. Special Offer 2.95£ Free p&p Uk Seller Fast Dispatch !! All HTC phones & All USB Supported. Plug type:UK. 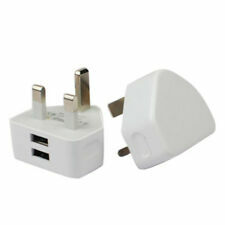 This is a Very High Quality Mains Adapter for your Device. All Samsung Phones,Tabs. Casing color: white. We'll be more than happy to satisfy you. All Apple iPhone's, iPod's. Designed with two sockets and two USB ports. USB Maximum Output Current: 3.1A. 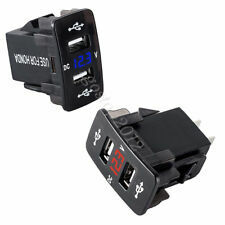 Applicable to all 12V-24V car power, plug and play. Suitable for ipod, cell phone, MP3 player and etc. Total output power: 120W maximum. 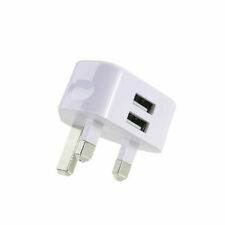 USB twin charge socket 12/24volt input and 5v output and 1.0amp and 2.1amp. Comes complete with mounting pod. • LED indicator light. Fast charging. • Material: Aluminum alloy PC. 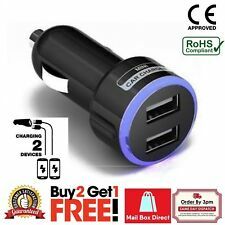 DUAL IN CAR CHARGING ADAPTER. COMPATIBILITY UNIVERSAL (HIGH QUALITY). MAX - 2000MA (WITH BLUE LED LIGHT). FAST DISPATCH. Compatible ModelUniversal,For HTC Desire C,For HTC Desire V,For iPhone 4,For iPhone 4s,For iPhone 5,For iPhone 5c,For iPhone 5s,For iPhone 6,For iPhone 6 Plus,iPhone 2 3 4 5 Samsung Sony. Easy to use. 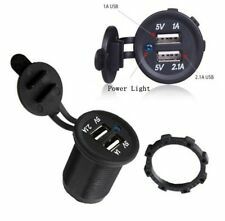 Features: Turn one cigarette lighter socket split into two Can charge up to 4 devices simultaneously With dual USB port charging sockets Can be used in cars with 12V cigarette lighter socket A fuse is included with the product Compact size, easy to fit in your luggage or bag to carry around Charge any device from iPad, mobile phones to GPS etc. Note: Due to light and screen difference, the item's colour may be slightly different from the pictures. Small Size: It's palm sized and lightweight,which will not take up too much space. compact and easily portable, perfect for travelling. Plug and Play Item. Two USB Ports. Small,Compact,Sleek,Portable. Plug and Play. Blue LED Light ( Lights up when plugged in ). 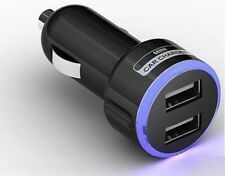 Plugs into any car power outlet. All other smart phones. Auto identify phone current protection. Color: Black. All Blackberry Series. Short-circuit protection. All HTC Series. 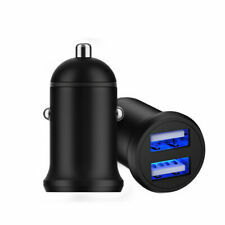 ([ Dual USB Port & 2 Cigarette Sockets ] - 2 USB charging ports with total Max 3.4A（1A/2.4A). The cigarette lighter socket can NOT light the cigarettes. 1x User manual.